From the period of 1989 to 1995, Seattle ruled the music scene. Grunge was god and all else either bowed before its Doc Martin boots or was stomped into the dirt (just ask hair metal, 1980s' pop rock, the first wave of boy bands, spandex glam rock et al). Sub Pop was the label of choice and the Seattle-based record label was at the cutting edge of a new musical and cultural movement. Do any of you remember surge cola from the Coke Company? Remember the television show Northern Exposure? Picking the top 10 albums of the grunge movement proved to be difficult. Below you will find what I consider to be the quintessential Seattle scene records of the time. There are some influential bands that have been left off this list - such as the Melvins, Tad and Green River; sorry I only had room for ten. Also not found on this list is Alice In Chains' excellent first record, Facelift, Nirvana's Bleach and their legendary song Floyd The Barber, and Soundgarden's major label debut, Louder Than Love in 1989. This record in my opinion was the tolling bell sounding the end of days for all that 1980s' LA hair metal rubbish. Also, I wanted to give a nod to Stone Temple Pilots' first record, Core. This record was as grunge as anything at the time and one of the best records of the era. But for this article I am focusing just on the Seattle scene, and the 'Pilots hail from San Diego, California. Honorable mention: The Presidents Of The United States Of America - self titled debut album. Coming in at the tail end of the grunge scene, the Presidents came on like a breath of fresh air, sort of like Blue Man Group on acid. With such odd songs like Lump, Peaches, Boll Weevil and their jack-wired cover of MC5's classic Kick Out The Jams the Presidents made a statement that music could be fun again, weird as hell and wonderful. Three-chord power rock meets pure insanity. If Terry Pratchett's Discworld had a house band the Presidents would be it. 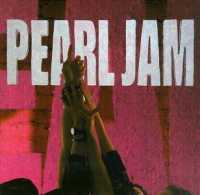 The spark that beget a revolution... From the embers of this firestorm was born Pearl Jam. Andrew Wood was a prophet, a rainy day Jim Morrison. Listening to this record you cannot help but wonder about what might have been. Songs like Stardog Champion, Capricorn Sister and This Is Shangrilaare very emotive. You can feel the pain and struggle in Andrew's voice. He died in March 1990 of a drug overdose. Heroin was the bane of the grunge movement, the Achilles heel if you will. This record originally appeared as two records, the full length CD entitled Apple and the EP Shine. 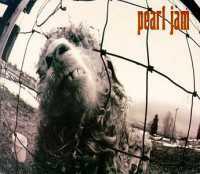 An amalgam of members of Pearl Jam and Soundgarden, this collaboration was stark and pure. With both Chris Cornell and Eddie Vedder sharing vocal duties, that is reason enough to get this record. Songs like Hunger Strike and Say Hello 2 Heaven echo the melancholy of those bleak days. It is shame that this was the only release this Seattle supergroup ever made. 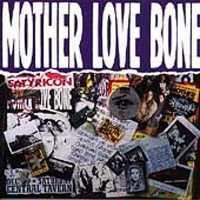 It was meant to be a tribute to the late Andrew Wood, the lead singer of Mother Love Bone. Even amid the strolling guitars there is a certain kind of mellow, almost peaceful tonality to this record. If grunge had a spiritual side it was this record. This was Soundgarden's biggest selling record. It was a monster. 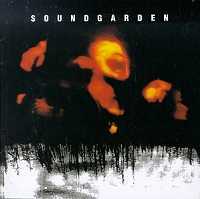 Released in March 1994, Superunknown showed Soundgarden at their most mature. Their songwriting ability really shines through on this record. It was their most diverse and musically creative collection of songs ever. The sound captured the duality of a generation, lingering sorrow and the hope of tomorrow. Songs like Fell On Black Days, Black Hole Sun and Spoonman exemplified these emotions. Most of the songs are heavy anthems but the song Half has a sub-Saharan African feel to it with bassist Ben Shepherd providing vocals. This record was a powerful testament to the talent of this band. 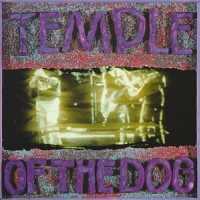 Arguably the most influential band on the Seattle sound, this record was released in 1991. Low-fi guitars and dirty musical genius abound on this release. Songs Generation Genocide, Thorn and Fuzzgun '91 exemplify grunge in its purist form. 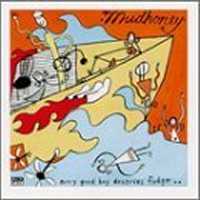 Mudhoney has a rather odd bent to them at times. Their record My Brother The Cow and their EP Five Dollar Bob's Mock Cooter Stew display this odd sense of humour. It's this odd sense of humour that the Presidents Of The United States Of America displayed. This band also had a reputation for being very good live. If you're a fan of grunge, not having Every Good Boy Deserves Fudge is like saying you are a fan of traditional country music without owning any Johnny Cash records. Hailing from Ellensburg, Washington, a town more than a few miles north of Seattle, Screaming Trees brought a rural element to the grunge movement. Dollar Bill could have been a country hit today. Mark Lanegan was grunge music's answer to Jim Morrison just as Kurt Cobain was grunge's answer to Bob Dylan. This is a stunning record. Songs like Shadow Of The Season and Butterfly are the exact definition of grunge. Nearly Lost You was the catchy commercial hit. 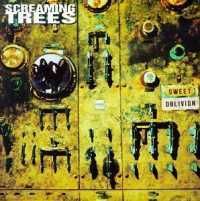 The Screaming Trees should have been bigger than they were. It almost seems unfair. I saw them in concert with Soul Asylum and the Spin Doctors and the emotion of their music translated very well live. It was a shame that their careers were hijacked by record company hi-jinks. The second legendary record from Eddie Vedder and the boys established Pearl Jam as a legitimate contender to the title of kings of rock 'n' roll. Though they wanted nothing to do with such superficial nonsense. This record is part fury, part avalanche and part melancholy. Vedder's vocals were taut, intense and focused. The song Daughter was a monster hit from VS, but as most commercial songs go it did not truly exemplify the best music on VS. That distinction went to Rearviewmirror and the oddly titled Elderly Woman Behind The Counter In A Small Town - a beautiful and stark song. Socially conscious, environmentally aware, and lethal at any volume, VS was incredible when it came out in 1993. And like its bigger, older brother Ten, it stands the test of time. Without argument AIC was the darkest, most menacing band of the grunge movement, Melvins included. They churned forth a storm of hurricane proportion every time they hit the stage. As good as Facelift was, this record was better. The first six songs are all career making songs. Each one stands the test of time and stands on its own. The top three songs here are: Rooster - one of the most powerful songs about the tragedy of war ever written. Rain When I Die - haunting, bleak and mesmerising. Down In A Hole - a powerful ode to addiction and the struggle to get and keep clean. Knowing what happened to Layne Staley the lyrics are utterly chilling. I want to take a moment to mention the AIC record Jar Of Flies, and the song Whale And Wasp - this is one of the most beautifully arranged songs you will ever hear. Pure power! A harbinger of rust tinted aggression bellowing the withering ash of... well you get the idea. 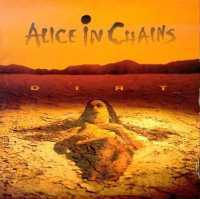 This record is one of the best and most intense of all the grunge records. 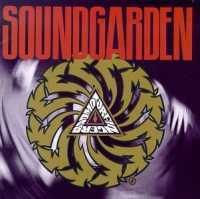 Soundgarden was the one of the original pioneers of the Seattle sound. Each song has a personality of its own. Rusty Cage, Outshined and Jesus Christ Pose were brutal anthems to disenfranchisement. Room A Thousand Years Wide was a progressive head-trip down the rabbit hole. This album went platinum at the time but it was not Soundgarden's most accessible record. That distinction was saved for Superunknown. However, Badmotorfinger is the quintessential Soundgarden record. It certainly is a good record to play air guitar while howling at the Moon. 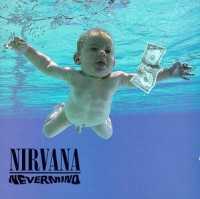 If it were not for Nirvana's legendary record Nevermind, this album would be the top grunge record of all time. A juggernaut of a debut record born out of the ashes of Mother Love Bone, Ten is one of the penultimate rock 'n' roll records of all time. Songs such as Once, Even Flow, Why Go and Jeremystand at the pentacle of the Seattle sound. It is the desperate soul of a generation put to music. I saw them in concert that year on Lollapalooza when they shared the bill with Soundgarden and the Red Hot Chili Peppers. I had been to many concerts before but never before had I seen 30,000 people rush forward, sort of a domino falling frenzied motion, when Pearl Jam came on stage. The crowd was mesmerised for their entire set. It is utterly inexplicable as to why Rolling Stone left this record off their top 100 list; the daft and doltish leading the blind I guess. I remember the first time I heard this song; I was utterly blown away. I had no idea who it was but I wanted to find out. Nirvana came out of Seattle like a house on fire. Nothing could touch them. I remember seeing an interview with the lead singer of LA hair metal band Warrant at the time. When asked about the first time that he heard Smells Like Teen Spirit, he said he had just came off tour for their Cherry Pie record, was driving down the 101 when it came on the radio. He said that he physically became ill to his stomach because he said that he could sense that his type of music was about to die. How right he was. Equal parts melodic and furious, Nevermind was the hammer that drew down on the 1980s' music scene with a killing vengeance rarely seen in category five hurricanes. In addition to Smells Like Teen Spirit, the songs Lithium, Territorial Pissings and Come As You Areset fire to the spandex mindset. Singed and royally fucked, I remember all those 1980s' band taking photo ops with flannel shirts on and acting all depressed. This was the record that defined Generation X and set forth a new pop culture trend. Simply it is one of the most important rock 'n' roll records of all time. Don't forget In Utero and the fabulous live record From The Muddy Banks Of The Wishkah - both shine in their own right and are essential when completing your collection of grunge era rock music. Simply stated, the revolution of the Seattle music scene and the advent of the grunge movement was one of the most important eras in rock 'n' roll history.